Does your dog like to play in water but all his previous toys went down like the Titanic? Are you tired to buy new toys for your "aquatic friend" again and again? Get this Unsinkable Rubber Water Ball Dog Toy that will help you to avoid this problem! Walk and train your doggy with pleasure and joy even on the beach! Besides, this excellent dog toy is manufactured of top-quality rubber that is durable and soft at the same time. This material is dog-friendly as it doesn't contain any harmful chemical substances. It will not probably provoke any allergic reactions. Also, the ball is equipped with a strong nylon string. Thus, it is perfectly used for dog bite training and fetching. Hurry up to become a happy owner of this Colorful Rubber Dog Ball for small breeds and enjoy daily activities with your beloved friend! 1. This dog bite ball is made of durable rubber. The surface of this toy is dotted but you should remember that it is not for chewing. 2. 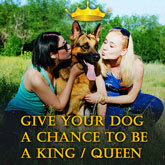 It is perfect for developing muscular system, introduction to Schutzhund training and even having fun. 3. This bite ball is ideal for performing different activities in water. 4. Due to a nylon string, this toy is equipped, it is comfortable in use. You can grab and throw the item easily. 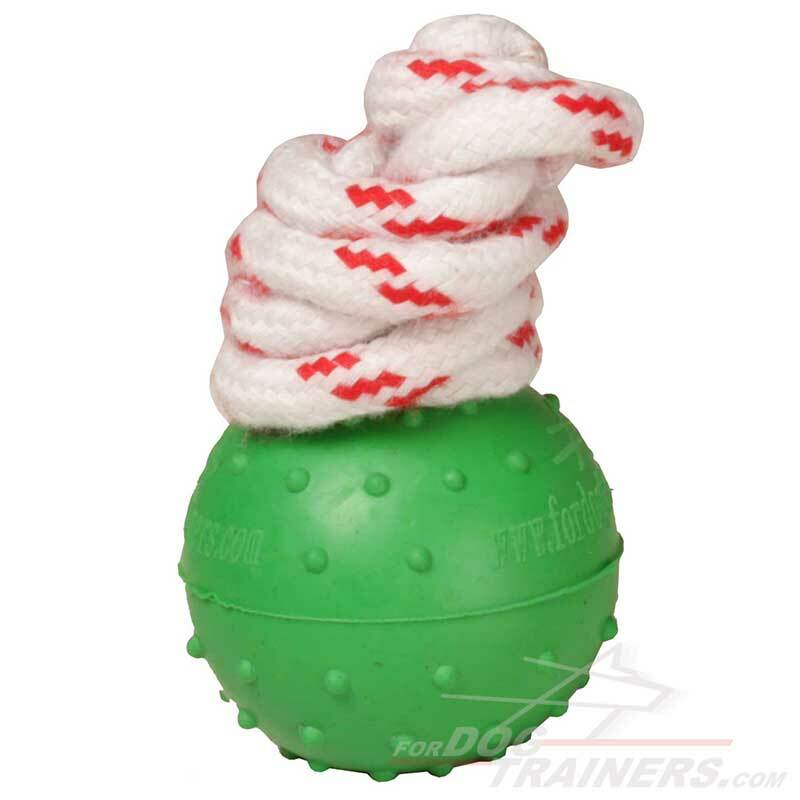 Always keep your dog under control while playing or training with this rubber ball in water to avoid any unwanted results. If you are a happy owner of a medium or large dog breed, please, check other dog training balls available. Follow the links below and visit pages of medium and large sized water dog balls.